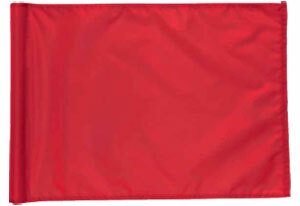 Made in USA, solid color golf flags. 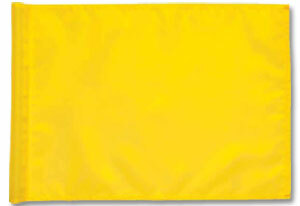 Solar Max Nylon solid color flag with Patent Pending Soft Sleeve Rotatable Tab-Lock Attachment. Triple stitch 4-ply edge trim. 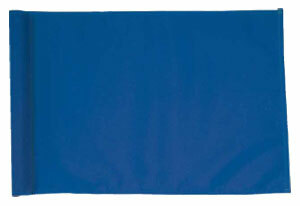 This flag is UV stabilized and finished to withstand tough weather conditions. 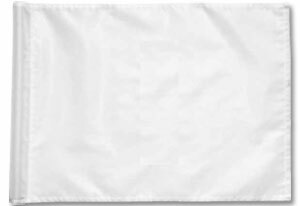 NOTE: This is not a "Tube Style" Golf Flag. My new flag is flying and it looks great. Quick and accurate service. Thank you! Thanks Barry, always nice to hear back from good people who enjoy our products. Have a Great Day EH!